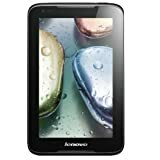 Tablet prices in India are getting lower everyday.Thanks to the online shopping websites such as flipkart, amazon, snapdeal etc., massive discounts are being offered on tablets of various features. 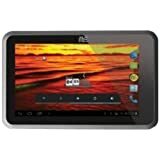 This tablet runs on latest Android version & offers 2G Voice Calling Support and 2G Internet Support.The speaker is dual dolby & hence very clear. Lenovo ideatab is powered by MT8317 Dual Core Processor 1.2 GHz, 1 GB RAM & provides Expandable Storage Capacity of 32 GB through Micro-SD Card. The touch screen is 7inch along with 0.3 MP Front Camera size. 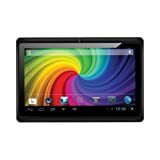 This ta blet has a 2MP front facing camera & screen size is 7 inch touchscreen offering 1280 x 800 pixels resolution. I.2GHz NVIDIA Tegra 3 quad core processor powers this Xolo tablet, which has clocked impressive benchmark results. It has 1GB RAM and 8GB internal memory expandable up to 32GB. The 4000mAH battery charges in approx. 3 hours. 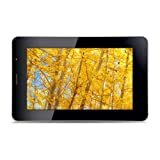 This t ablet from the house of IT major iBall is Dual Sim, 2MP primary camera with LED flash & 0.3MP front facing camera. While it has battery capacity of 3000mAh, display is 7 inch HD full capacitive touchscreen with 1024 x 600 pixels resolution. Camera: 5MP primary & 2MP on the front.It suits those looking to make video/ skype calls. The 7inch TFT LCD capacitive touchscreen with 1024 x 600 pixels resolution shall delivery clear images. Coming to the OS, the tablet runs on 1.2GHz dual core processor & 1GB RAM. The only drawback of Micromax funbook could be the 2800mAH battery as it provides talk-time of 6 hours and standby of 120 hours. The 7-inch screen with 800 x 480 pixels resolution might look old compared to its peers but it serves the purpose. The operating system is no different from others as it has 1GHz Cortex A9 processor and 4GB internal memory that is expandable up to 32GB. OS details: Android system on 1.2GHz Cortex A9 dual core processor, 1GB RAM and 4GB internal memory expandable up to 32GB. 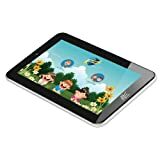 Though this HCL connect V3 tablet has 3000mAH battery, it does come with pre installed apps that would work satisfactorily. 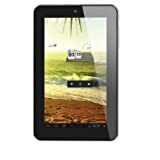 This tab is quipped with a 1 GHz Cortex A9 processor & 1 GB DDR3 RAM which is more than enough to perform regular activities. The display is being handled by 7 inch LCD IPS Capacitive touchscreen with 1024 x 800 pixels resolution. It offers variety of connectivity options that include mini-USB, bluetooth & HDMI.You can also browse internet via Wi-Fi or 3G. 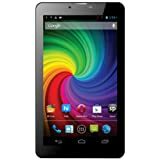 Running on stock android version operating system with 1GHz ARM Cortex A8 processor, 512MB RAM and 4GB internal memory expandable up to 32GB, this tablet is also one among the economical. Sporting a 7-inch capacitive touchscreen with 800 x 480 pixels resolution & 260K color support, It supports Wi-Fi & 3G via dongle support. The Micromax funbook P280 tablet comes with 2400mAH battery providing standby time of 250 hours. 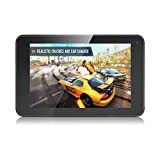 This tablet has 2MP primar y camera and 0.3MP front facing camera, 7-inch WVGA capacitive multi-touchscreen with 800 x 480 pixels resolution. Android version is 4.1 Jelly Bean operating system with 1GHz Cortex A9 processor, 1GB RAM and 4GB internal memory expandable up to 32GB. The HCL ME champ tablet runs on 3100mAH battery, which is considered an average performer. 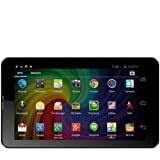 This is a dual SIM android calling tablet so you can use two sim cards at a time.It also features 2MP primary camera & 0.3MP front facing camera.7-inch TFT m ulti-touch capacitive touchscreen supports 1024 x 600 pixels resolution and 16M colors. Working on 1GHz dual core processor & 512MB RAM it has 1GB internal memory expandable upto 32GB.You can connect using.GPRS, Wi-Fi, EDGE, Bluetooth and a microUSB port. 2800mAH battery helps you with talk-time of 6 hours, internet browsing of 4 hours and 120 hours of standby time. 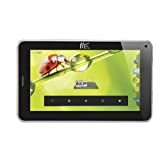 These are some of the best selling tablets under Rs.7000 price range.With offers, discounts & freebies available on online stores, purchasing your tablet wont be difficult.